You survived another meeting that could have easily just been done in an email. The internet is very, very proud of you. 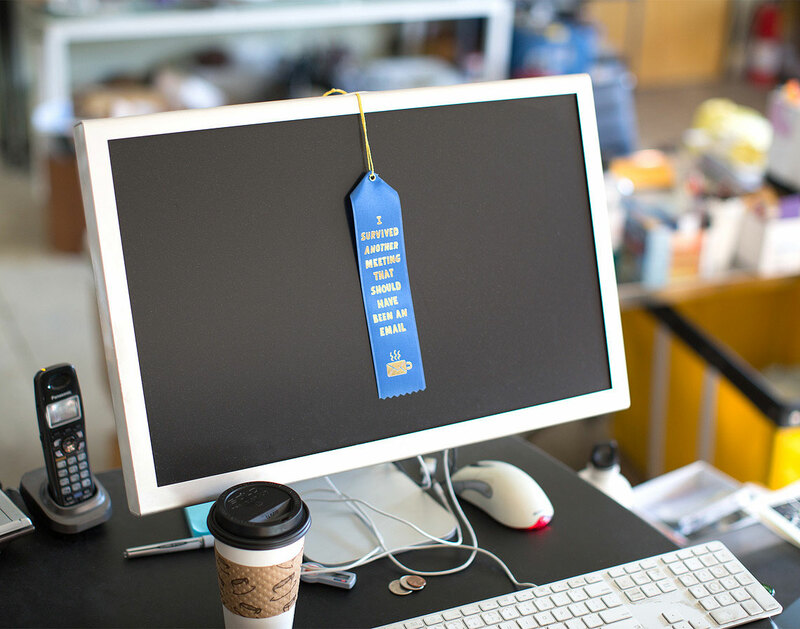 Gold foil embossed in a bright blue ribbon, complete with hanging string. Produced exclusively by Buyolympia. 2015. The original sketch for this was created in October 2014. 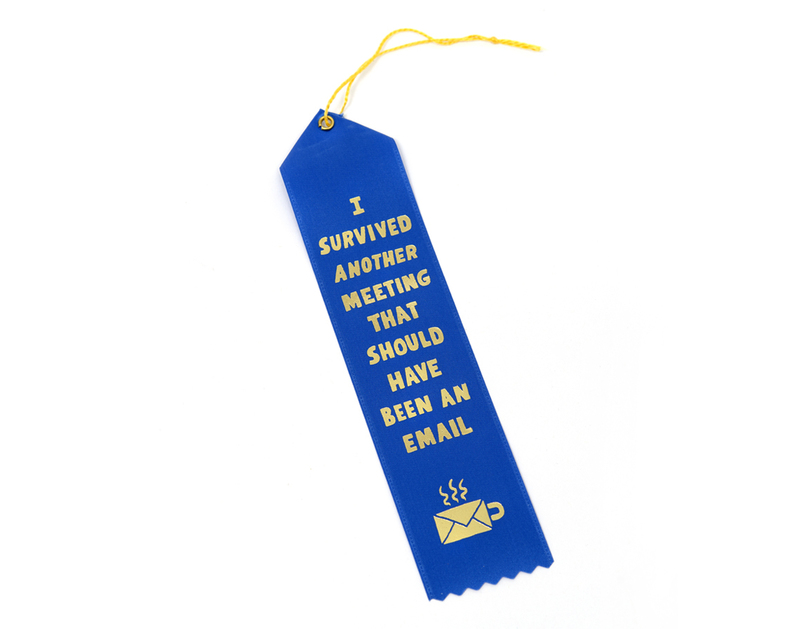 Also available as a large diner mug and a red ribbon for those that prefer meetings over emails.